It may feel like you just finished up with Mother’s day, but good old Father’s day is right around the corner. This year, you have decided to get him something that he may actually enjoy, so the “Best Dad Ever” coffee mug or tie with golf clubs on it are both out. If your father, somewhat like mine, is of the geekier persuasion, I feel that it makes it that much easier to shop for him. After all, the niche of nerds is a far-reaching and creative landscape. Here are some ideas for a geeky father near you. Darts used to be an integral part of the bar scene, but much like horse racing, they are now largely relegated to old man bars. I, however, still enjoy the game of darts very much, and it is possible that your dad does, too! 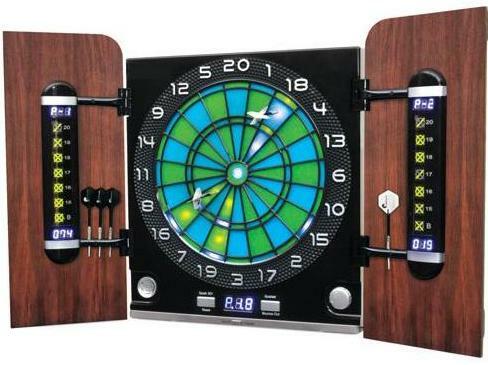 Now you can give him a nice blend of the old and new as a gift with this virtual assist dartboard. All the fun of the classic game with the additional benefit of scorekeeping! Chances are, your dad was around for the dawn of video gaming. While he may have started with Pong, he almost certainly has fond memories of the classic game Space Invaders. 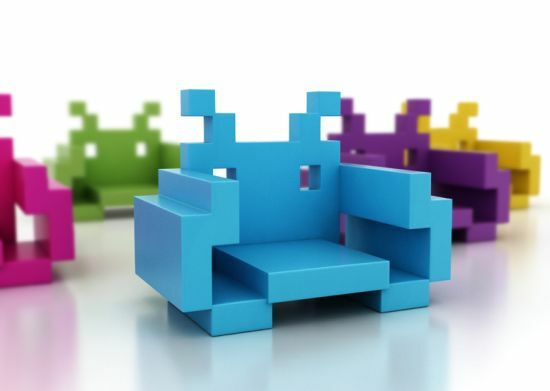 If he has a finished basement, a “man cave,” of sorts, then this Space Invaders Furniture would make for the perfect addition. Urinals are unquestionably items of a man’s world, and what better way to decorate your local rest room then with classic Super Nintendo games from the early 90s? This Super Nintendo Cartridge Urinal would make for a hilarious gag gift, especially if your dad actually made it to the Super NES before giving up playing against you in video games. 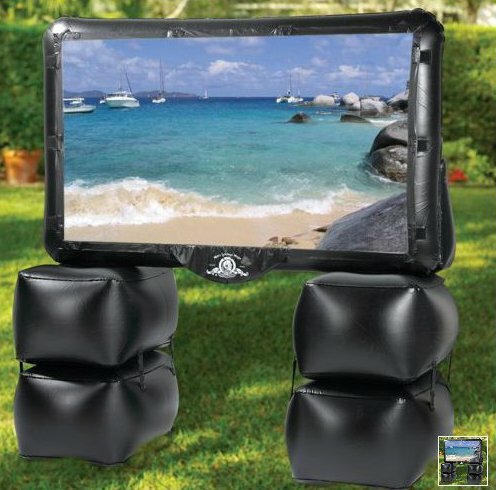 If your parents have a pool, or at the very least a solid amount of outdoor space, consider this Outdoor Inflatable Theater as a father’s day option. Given the price of such an item, this would probably best be served as a collaboration amongst family members. The white vinyl 72″ screen frame inflates in under 5 minutes thanks to the included pump. A projector also comes with the package and runs at 480p resolution and a 16:9 aspect ratio. Many fathers out there are history buffs, and part of being a history buff entails knowledge of military hardware in some capacity. My father, for example, has a wide range of knowledge on World War 2 vehicles. 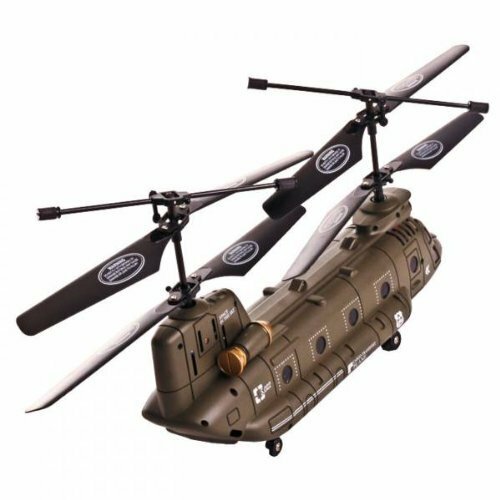 If your dad happens to be a fan of more modern warfare, then this Syma-S022 Big CH-47 Chinook is right up his alley. I know I mentioned earlier that getting your dad a coffee mug is out of the question, but these are no ordinary glasses. 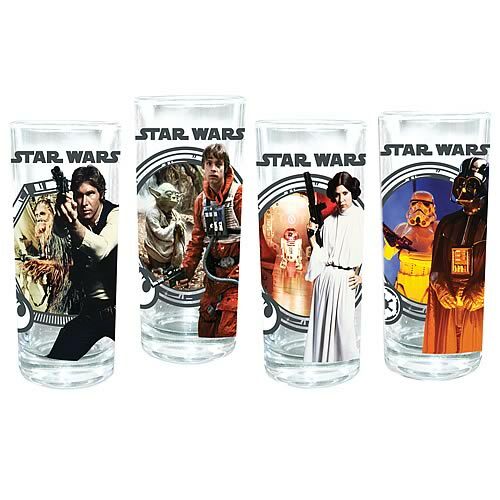 If your dad is a rational human being, he probably enjoyed the first set of Star Wars movies, and as such can likely appreciate this 4-pack of Star Wars Glasses. They feature all of your favorite characters from the original movies, and at a price that won’t break your bank. Each glass holds up to 10 oz. of liquid and would be considered a great gift for any Star Wars fanatic father. If your dad is like mine, chances are he’s now a fair bit over the hill and rounding the home stretch toward retirement. As we all know, retirement gives old people a whole lot of free time on their hands. As such, what better way to help your dad find a productive use for this time than by giving him the means to make his very own beer? 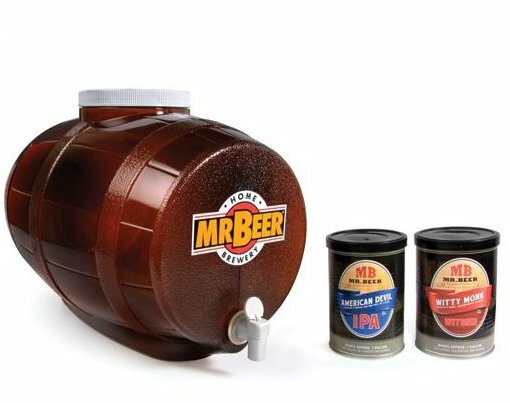 This Home Brewer’s Kit comes with everything your dad will need to create an IPA or Witbier, which is a Belgian wheat beer along with “Coriander and orange notes.” All he has to do is load up some yeast and tap water and allow it to ferment in the provided tank for seven days. The beer then develops natural carbonation, so you can begin drinking immediately once it is ready. The beer will have a relatively low kick to it at 4.6 percent Alcohol by Volume, so you can throw a few back with your dad without the worry of getting plastered and saying something you regret. I was nice speaking with you just now. As I said we are running a Father’s day advertising feature this year after the success of the Mother’s day feature we ran. I came across the Dream Days website, and having had a look around at the day experiences you offer, I thought that this website would be a fantastic fit for the father’s day feature. I noticed that you have a specific channel of ‘for him’ ideas on your website, and I know that the experiences and gifts on offer would stand out for our readers who are looking for inspiration for Father’s day gifts. Your range of experiences are unique from the other clients we have interested in the page, and would certainly stand out. The Company readers’ time and money is very much their own, and they are always looking for new things to try out. They are a very affluent readership with an ABC1 profile of 71% so would be generous when looking for their father’s day gifts. The June issue will be on sale on 11th May which will give our readers plenty of time to purchase their Father’s Day gifts. There are 9 panels to a page and you can opt in for more than one panel if you wish. Cosmopolitan magazine is another young women’s title. A magazine that celebrates fun, glamour, men and a passion for life and inspires young women to be the best they can be. Cosmopolitan is truly an international, iconic brand. With over 38 years of brand saliency, Cosmo is the most widely-read woman’s monthly magazine in the UK. The readership is enormous which would give your company fantastic exposure. Like I said your company would offer fantastic and relevant opportunities for the readers’ gift ideas and would certainly bring something unique to the features. If you have any queries at all, please let me know. If not I look forward to speaking with you next week to hear your thoughts on the feature.